must be obtained from your diet. Iron is found in your hemoglobin and myoglobin (70%), which are the primary methods of transportation of oxygen from your lungs to body tissues and cells. The other 25% is stored in “Ferritin”, which is found in your cells and can save iron there for up to 3 years for men, but only one year for women (one of the primary reasons women are more likely to be anemic than men). Now let's talk about oxygen. You may associate oxygen with your ability to breathe. However, it is far more complicated than this. Your muscles use oxygen to contract, and without sufficient iron (reduced oxygen) your muscle becomes weak. Your brain requires oxygen (the brain uses 20% of your blood oxygen) for cognitive activity and neural pathways. 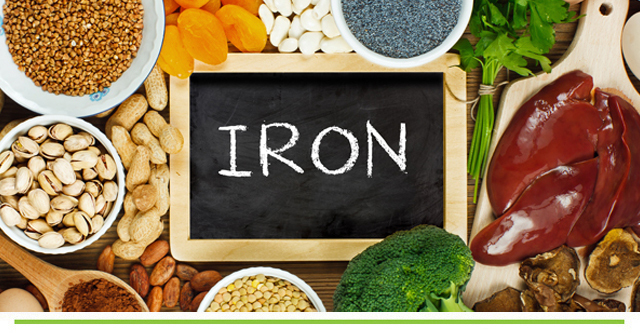 Iron and its transportation of oxygen help to regulate your body’s temperature. Chronic fatigue and shortness of breath can also be associated with low iron (oxygen). Did you know that restless leg syndrome is often related to an iron deficiency? The most recognized disease related to an iron deficiency is anemia of which there are many different forms and each of them, if left untreated, can cause long-term health risks. Those at most risk for anemia or low iron are women of childbearing years, pregnancy, ageing, dietary choices (vegan or vegetarian) and those with blood disorders. It tends to take a long time before an iron deficiency manifests into a condition that requires you to seek medical intervention. Many of those symptoms, if detected early, on can fix themselves by adjusting your food intake or supplementation. Watch for a combination of these symptoms and consider a natural approach as your first course of action to get things back on track. Symptoms include, feeling weak, dizziness, light-headedness, rapid heart rate, shortness of breath upon exertion, brittle and broken nails, paler skin, colds hands and feet and poor appetite. 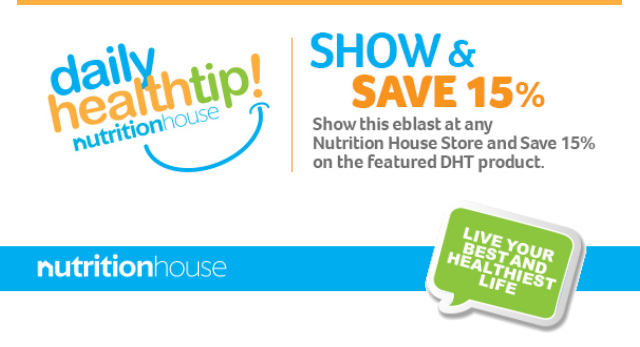 How Do You Choose an Iron Supplement? acid) is often found in iron supplements, (for its ability to help absorb iron.) There are many different forms of iron supplements available, making it confusing when deciding which one to buy. Brands most often recommended by physicians tend to be more constipating due to the amount of actual iron your body is absorbing. What you do not absorb (residual) stays in your gut, leading to bowel distress. One of the newer Iron formulations is IRONsmart. It has a new delivery system (liposomal bubble) that allows the iron to pass through the high-acid stomach environment and go directly to the small intestine, where it is absorbed. 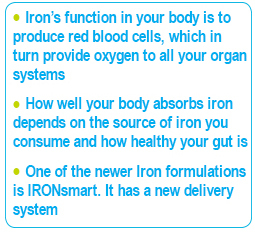 Results from a recent study showed that absorption of IRONsmart iron tested two hours after oral administration, was five times greater than ferrous fumarate. After 12 hours, the absorption of IRONsmart iron was far higher than many other forms of iron. It comes in a liquid that tastes like caramel and IRONsmart capsules as well. If you have health concerns, please consult with your medical advisor.